Madam President, Mr. Speaker, Honourable Prime Minister Honourable Leader of the Opposition, Members of the House and Senate, Your Grace, Fellow Saint Lucians - My People, ladies and gentlemen, we thank Almighty God that by his grace we are able to convene today for the Fourth Session of the Eleventh Parliament of Saint Lucia. Madam President, Mr. Speaker, this Session takes place against the backdrop of an international climate that is more fluid and uncertain than we have perhaps ever witnessed. Unpredictability is the new order, in matters economic, political, religious and climatic. One constant is Saint Lucia’s status as a Small Island Developing State. From this come the consequences of vulnerability, susceptibility to adverse external shocks and probable casualty of major climate events. We are not, however, victims. We are not a hapless, helpless people. We are Saint Lucia – a country of boundless talent, yet untapped intellectual energy, immense potential. This means that as Parliament, we are entrusted with invaluable resources, and must consequently, bear the burden of commensurate accountability. I crave the indulgence of Honourable Members, as I repeat, words spoken when I first addressed you here last year: ‘Without Party, Parliamentary government is impossible. 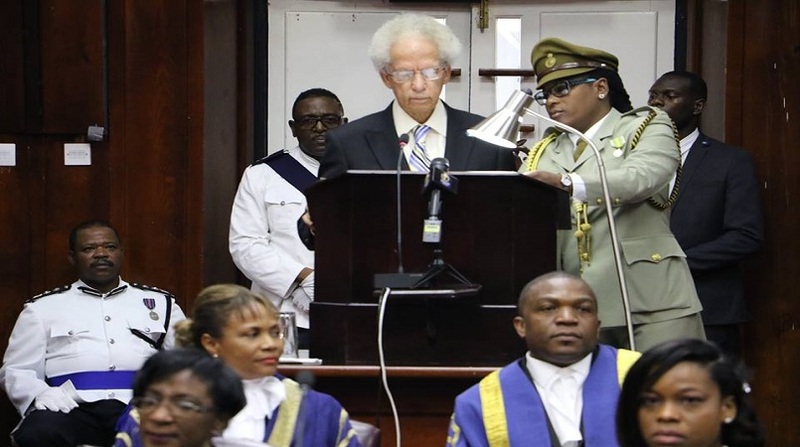 It is a most wonderful device that makes for peace and good government, not tribalism and warfare.’ Parliament is the grand inquest of the nation and in the service of our masters – the People of Saint Lucia - let us not substitute refined inquisitorial procedure for javelins of slander and knives of lies. For the sake of our children and ensuing generations, let us always rise to the occasion, Government and Opposition, and bring due reverence to this House. We can make Saint Lucia the best of all possible worlds! Madam President, Mr. Speaker, my Government approaches the 2019/2020 fiscal year with the desire to further empower our people to take advantage of new opportunities that present themselves as we pursue our national goal of inclusive growth. My Government will, therefore, introduce appropriate policies and laws in education, healthcare, agriculture, tourism, commerce, energy, infrastructure, and public financial management. 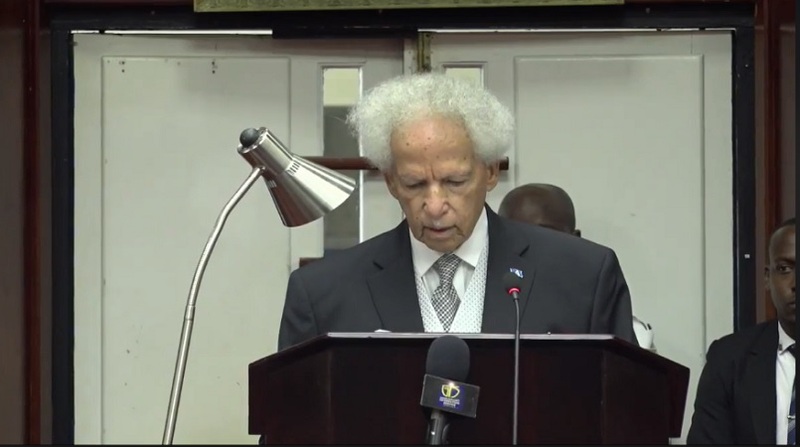 Madam President, Mr. Speaker, during the past year Saint Lucia mourned the passing of Mr. Arsene James, former Member of Parliament for Micoud South, Leader of the Opposition and Minister for Education and Culture. Mr. James was awarded the Saint Lucia Cross in 2017 for his contribution to education and government. We also mourned the loss of Mr. Gregor Mason, former Member of Parliament for Gros Islet and Minister for Agriculture. They were honest sons of Saint Lucia and devoted to their constituencies. We honour their memory and remain thankful for their contribution to national development. Madam President, Mr. Speaker, the celebrations to mark the 40th anniversary of independence were launched in December 2018 and will run until December 2019. With a view to making independence real and tangible for our people, My Government approached this year’s celebrations with legacy-building in mind. Therefore, the anniversary is not a single event. It is, instead a vehicle for reaching as many Saint Lucians as possible and reinforcing our appreciation that who we are we can give to the entire world. Activities cross the divides of age, gender, religion, politics and geography. Not only is the entire island involved, but the diaspora is an integral part of our commemoration. As we create the legacy, our people will display their talents in sports, oratory, gastronomy and the arts, compete for the Pli Bel Vilaj title, and design community projects. One would be hard pressed to recall an Independence Day celebration that paralleled that of 2019. Genuine pride and happiness were evident as uniformed groups, sporting groups, environmental clubs, students, dancers and musicians - a sea of blue, white, black and gold - amplified and invigorated the conventional military parade. And it would not be an exaggeration to say, starched uniforms creased when our traditional music played. Saint Lucia represented! Everyone who has contributed and will contribute to making this fortieth anniversary of independence memorable is worthy of commendation – the Independence Planning Committee, participants, performers and above all, you the Saint Lucian public, for your outpouring of encouragement and support. Two thousand and eighteen was also a year for celebration of our people’s achievements. Mr. Johanan Dujon, whose bio-technology company produces commercial agricultural products from Sargassum seaweed, won the Commonwealth Youth Award for the Canadian and Caribbean Region. A mighty feat indeed, where a young man converts a most devilish nuisance into dollars and cents, and with the potential to save all beaches: places we all throng to, for relaxation and recreation. In sports, high jumper Levern Spencer became the first Saint Lucian to win a gold medal in the Commonwealth Games. She also won a gold medal at the Caribbean and Central American Games and her third consecutive gold medal in the North American Central American and Caribbean Championship. A few days ago, my Government hosted a dinner at Sandals Grande to show our gratitude to her. Never were guests more impressed with a sports personality. And after twenty years of competing and still very much in the game, truly, Levern is a unique model of endurance and stick-to-it-ability. But what crowns her glory is her very authentic humility, that quality which is the bond of perfection. And if the world never knew us, now it does, for our Levern appears to be more ambassadorial than any ambassador, given her universal popularity. Seventeen year-old cricketer, Kimani Melius, was selected to the 14 Member West Indies B cricket team for the Cricket Canada Summerfest. Another 17 year-old, Ms. Julien Alfred won the silver medal at the Youth Olympic Games in Buenos Aires, finishing only two-hundredths of a second behind the gold medalist. We are a remarkable nation! Aren’t we? We are: for in almost every sublunary field of endeavor, our people have brought great honour to us. Madam President, Mr. Speaker, education and health constitute the cornerstone of empowerment, and education is the singular means by which our people can raise the estimation of themselves and perform to their full potential. That’s why, in last year’s Throne Speech, I referred to education as “the chief defence of a nation”. And in this context, I cannot say how pleased I am to have received the assurance of our Minister for Education that commencing immediately, steps would be taken to make students fluent in French and Spanish also, beginning with five-year olds. That would make Saint Lucia, whose main business is tourism, perhaps the most sought-after country in the world of 7.7 billion people, where only a small handful can boast fluency in the three official languages, English, Spanish and French. With those in our pockets that would be the highest form of foreign exchange, and there would be full employment for our 170,000 people. Our education system must, therefore, be responsive to the diverse needs of our children, young people and adults alike, and graduate students capable of taking their place in the international economic and social community. My Government’s vision for education in 2019-2020 sets the foundation for building the workforce of the future, with two priorities being the mainstreaming of Information and Communication Technology (ICT) in education, and the strengthening and expansion of the Technical and Vocational Education and Training (TVET) programme. The ICT in Education Policy and Strategy provides a clear outline and context for Saint Lucia’s e-Education drive and encompasses our SMART Nation initiative. It will facilitate the transformation of our learning spaces into SMART classrooms, incorporating infrastructure and instructional materials which satisfy the requirements of technology integration. Computer Coding and Robotics training, introduced in 2018, will remain a regular feature on the education agenda. The TVET programme will continue, with its focus on technical competencies, together with the soft and employability skills demanded by employers. While secondary and tertiary institutions are the main targets, efforts are being made to integrate and strengthen TVET in our special education and primary schools. This will result in an increased number of graduates possessing Caribbean Vocational Quality certification. My Government urges our private sector to collaborate with us towards achieving success in this vital initiative, vital to our mutual benefit. Initiatives to increase access to education will also continue via the #EDUCATESAINTLUCIA thrust. Assessments will be undertaken of the feasibility of repurposing existing school plant to accommodate pre-K classes, so that more of our children can avail themselves of early childhood education. Similarly, secondary schools which may be fit for the introduction of sixth forms will be identified. Plans to transition the Gros Islet Secondary School into a National Sports Academy are well advanced, while the introduction of a magnet programme to begin the transformation of the Anse Ger Secondary School into a Centre of Excellence for Arts is imminent. My Government is acutely aware of the need to provide an environment conducive to the continuous enhancement of the quality and growth of our teachers and leaders. Consequently, the successful Summer Institute programmes will continue, strengthening leadership and pedagogical skills and ensuring modernized education approaches. Madam President, Mr. Speaker, my Government recognizes that the provision of accessible, comprehensive, affordable quality HEALTH CARE services is vital for a productive and reliable human resource base. This goal has to be considered within the context of the need for universal access to health services, the challenges posed by pervasive non-communicable diseases, the exigencies of tackling mental health conditions and potential epidemics and pandemics, among other priorities. In this respect, during this 2019/2020 period, my Government intends to continue strengthening primary healthcare and public health, advance work on national health insurance, and implement measures for quality assurance. The progress made to date on commissioning and operationalization of the Owen King EU hospital is noteworthy and work will continue towards full transition of all outpatient and inpatient services within the shortest time possible. The decommissioning of the Victoria Hospital has become imperative and my Government is taking urgent action to achieve this. Equally crucial is the completion of the St. Jude Hospital, based on its new design, with a timeline of 2021. This will be approached by means of phased transitioning into the new facility. My Government wishes to place on record its immense gratitude for the patience and understanding of the management and staff of St. Jude Hospital, present and past patients of the facility and the sportsmen and women of this country, who have had to endure so long a period of utilization of the George Odlum Stadium. In improving the supply of primary healthcare services, my Government intends to address the need for facilities throughout Saint Lucia to be resilient in the face of climate events. Moreover, selected health facilities will be upgraded to SMART institutions, so that they are adaptable to changing weather patterns, safe and operational during and after extreme weather events and emergencies, and energy efficient with lowered carbon footprints and operational costs. My Government intends to implement a National Quality Management System in order to ensure that our healthcare system satisfies international quality standards. The requisite legislation to support the National Healthcare Quality Management System will be considered for enactment during this Session of Parliament. My Government’s priorities in agriculture are focused on value-added agriculture and fisheries and creating an environment that fosters economic security and increases business competitiveness. Notably, major progress has been made via the Banana Productivity Improvement Project, which has recorded significant increases in acreage under banana cultivation, levels of productivity and number of farms in operation. This means also that the objective of restoring and improving the quality of livelihoods of some eighty thousand families residing in rural communities is that much nearer to attainment. The establishment of the National Diagnostic Facility is well underway with housing for the Veterinary Services, Plant and Metrology Laboratories being almost 100% completed. My Government has also embarked on initiatives designed to reduce the food import bill and enhance national food and nutrition security, while creating employment opportunities, particularly for vulnerable groups in rural communities. These efforts must be anchored in appropriate legislation. A new Plant Protection Bill aims to minimize the risk of transfer of exotic plant pests and diseases into and out of Saint Lucia. It will make existing laws consistent with the International Plant Protection Convention, facilitate implementation of the OECS Customs Union and Free Circulation of Goods regime, as well as the Economic Partnership Agreement signed with the European Union. A long outstanding matter is the control of trading in endangered species. In this regard, Saint Lucia must take action to give effect to the Convention on International Trade in Endangered Species of Wild Fauna and Flora (CITES) to which Saint Lucia is a party. My Government intends to ensure that the CITES Act is implemented and its provisions addressing compliance with prohibitions, restrictions and approval requirements are enforceable. To this end, the management and scientific authorities, housed in the Ministry of Agriculture, Fisheries, Physical Planning, Natural Resources and Cooperatives Forestry will work closely with border control agencies, the Departments of Trade and Commerce, and the National Conservation Authority. This year my Government will also finalize the Cooperative Societies Bill, in an effort to modernize governance arrangements, facilitate the growth of cooperative societies, and recognize the Financial Services Regulatory Authority as the regulator for financial cooperatives. The success of my Government’s plans to build Saint Lucia’s economy will be determined, in part, by our ability to enhance the environment for doing business. At present, improvements are being made in several key areas, including online business registration and payment of taxes, alternative dispute resolution and the modernization of legislation to protect minority shareholders. A major undertaking is the adoption of the credit reporting system developed by the Eastern Caribbean Central Bank for application in the Eastern Caribbean Currency Union (ECCU). A Credit Reporting Bill, will be enacted, which will support the growth of the ECCU Credit reporting system and the development and operation of the credit bureau within the single financial and economic space. Further, as our states move to deepen their integration and facilitate the movement of people and businesses, a legislative framework for accessing credit, using movable property, is indispensable. The Security Interests in Movable Property Bill will provide for small and medium enterprises to access finance, in instances where they lack traditional collateral. A Free Zone (Amendment) Bill will be enacted, with a view to improving governance operations in free zones and assist in meeting international tax transparency requirements. My Government also intends to amend the existing Trade Licence Act, in our bid to regulate, more effectively, those non-nationals who are desirous of trading in Saint Lucia. In the same vein, the Fiscal Incentives (Amendment) Bill is intended to expand incentives afforded to local businesses as a means of spurring industry and investment. Madam President, Mr. Speaker, the aquamarine expanse that surrounds our island is a blessing – it is replete with resources in the water and seabed. But with that blessing comes a tremendous individual and collective responsibility to protect and preserve the marine environment and to be prudent in its use. These are obligations that my Government takes very seriously. Consequently, it is my Government’s intention to enact a Shipping (Marine Pollution) Bill, which will give effect to ten international Conventions dealing with marine pollution, to which Saint Lucia is party, and will provide for jurisdiction in relation to pollution of the sea from ships, intervention on the high seas in case of oil pollution and dumping of wastes at sea. My Government will also play its part in minimizing the transfer of invasive aquatic species through shipping, by enacting the Ballast Water Management Bill. This Bill will give effect to the International Convention for the Control and Management of Ships Ballast Water and Sediments and other international standards, and introduce measures to prevent, reduce or eliminate invasive species and pathogens. An amendment is proposed to the Power-craft Act in order to bring the operation of jet skis within its purview. The amendment will introduce operational procedures by owners and operators, increase penalties and strengthen monitoring by the police. Madam President, Mr. Speaker, my Government remains committed to moving our energy sector along a cleaner, more resilient path, incorporating renewable energy in our energy mix, as we seek to reduce energy costs, and the high carbon footprint of fossil fuels, fulfil Saint Lucia’s commitments relative to Nationally Determined Contributions linked to the Paris Agreement and ultimately, become energy independent. Leading by example, my Government will increase the use of electrification for powering the fleet of government vehicles. In addition, more schools and other public buildings will follow the model of the Gros Islet Secondary School and Sir Arthur Lewis Community College, each of which boasts a 25 MW solar photovoltaic system, and harnesses solar power to supplement their needs. Various options are also being explored in relation to geothermal and wind energy. In the course of this year, my Government proposes to enact an Electricity Services Bill to support the transition to new and renewable sources of energy, encourage efficiency in all aspects of the electricity service and create a framework for more robust sector regulation. A critical characteristic of this legislation is the potential it offers for investment and job creation, as it opens up the sector to competition in electricity generation from renewable energy sources. Madam President, Mr. Speaker, it is anticipated that tourist arrivals to Saint Lucia will continue to grow, both in respect of cruise arrivals and stay over visitors. This provides tremendous prospects for expansion of Saint Lucia’s tourism product, creating new revenue streams and exploiting new business opportunities. My Government will undertake initiatives to revitalize the Castries city center, making it more attractive to residents and visitors alike. Initiatives include the upgrade of the Castries Market, pedestrianization of the William Peter Boulevard, façade improvement for small businesses and beautification of the King George V Park. This work will be supported by capacity building workshops, additional to those conducted in 2018, and the provision of relevant facilities for vendors. Village and Community Tourism has the potential to confer direct benefits to communities, as it paves the way for the transformation of villages and towns into cultural, heritage or nature destinations, each one with its unique identity and offerings. My Government intends to facilitate the development of a village tourism programme, to be administered by the people of the communities identified. The required institutional and governance structure will be established in a Village and Community Tourism Bill. My Government acknowledges that several specialized agencies influence the planning, development and management of tourism in Saint Lucia. A participatory approach and the coordination of services will be enabled by the establishment of a multi-disciplinary stakeholder Tourism Council. During this year, the design of the legal framework and operationalization of the Council will be undertaken. My Government recognizes that Public Financial Management is critical to economic governance and essential for establishing the performance, legitimacy and accountability of mature, functional states. This year, a number of initiatives will be taken to strengthen public financial management, legislative reform being primary among them. The existing Financial (Administration) Act Cap 15.01 will be repealed, and a new Public Financial Management Act introduced in its stead. The new law will increase oversight of public financial resources, introduce best practices in monitoring and managing public financial resources and foster greater transparency and accountability. The Public Procurement and Asset Disposal Act No.19 of 2015 will be brought into force, accompanied by requisite regulations as well as structural changes within the Department of Finance. It is anticipated that these actions will help improve procurement processes and enhance competiveness, participation and confidence in the public procurement system. In order to buttress efforts at strengthening public financial management, a centralized internal audit function will be established, specifically with a view to protecting assets, reducing the possibility of fraud, increasing financial reliability and integrity and ensuring compliance with applicable laws. Relatedly, the judicious management of public debt is a serious charge shouldered by all governments. My Government pursues a Debt Management Strategy which aims to raise stable and consistent levels of financing at minimum cost and subject to prudent levels of risk. The Strategy and the Debt Sinking Fund which is proposed to complement it, will be governed by a Public Debt Bill which will promote transparency and accountability in debt management. Legislation is also required to ensure that discretion attends the management of the National Economic Fund established under the Citizenship by Investment Act No. 14 of 2015. 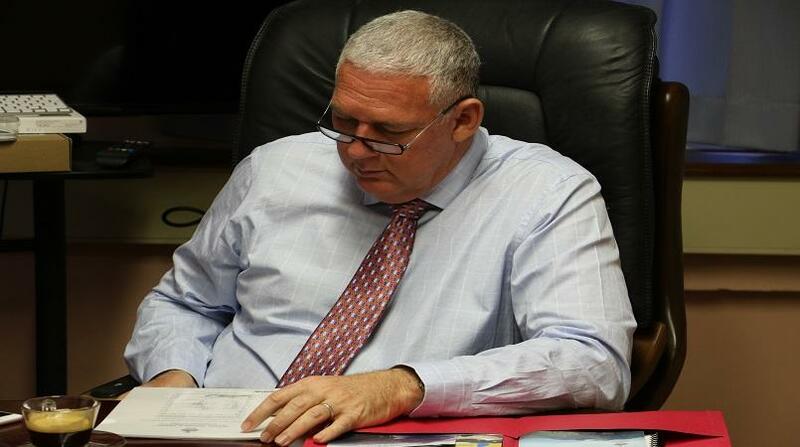 To this end a Saint Lucia National Economic Fund Bill is proposed, which will deal with matters of administration, financial transactions and reporting obligations. Madam President, Mr. Speaker, numerous studies undertaken into the relationship between prosperity and security lead to one, clear inference that all endeavors to achieve economic prosperity would be futile, unless appropriate action is also taken to safeguard our people’s lives and property. In this sense, the old Moroccan maxim, “security before bread” could not be more apt. My Government will therefore intensify efforts at crime prevention and confidence building by increasing the numbers in the Royal Saint Lucia Police Force and providing training in critical new areas such as human trafficking and the handling of vulnerable persons, as we improve capacity to combat organized crime. The use of CCTV cameras will modernize crime fighting while an enhanced communication system will improve response time and improve coordination among agencies of the police force. We can all, as members of the public, play a role in fighting and preventing crime. My Government will continue to support Community policing and we urge every citizen to respond to the call to set up more neighbourhood watch groups and work in collaboration with the Police Force to reduce crime in your respective communities. Madam President, Mr. Speaker, the matter of recidivism must be addressed. Too often, people leave prison and, with no support to find stable employment or a safe personal life, they fall back into criminal behavior. My Government proposes the introduction of a parole system which will assist in the early release of prisoners and their reintegration into the community with the support of specially trained parole officers. The requisite legislation exists and effect will be given to it. In preparation for the Fourth Round Mutual Evaluation by the Caribbean Financial Action Task Force, my Government will, following review of existing legislation, address matters of anti-money laundering, the financing of terrorism, and the implementation of the United Nations Convention on Corruption. 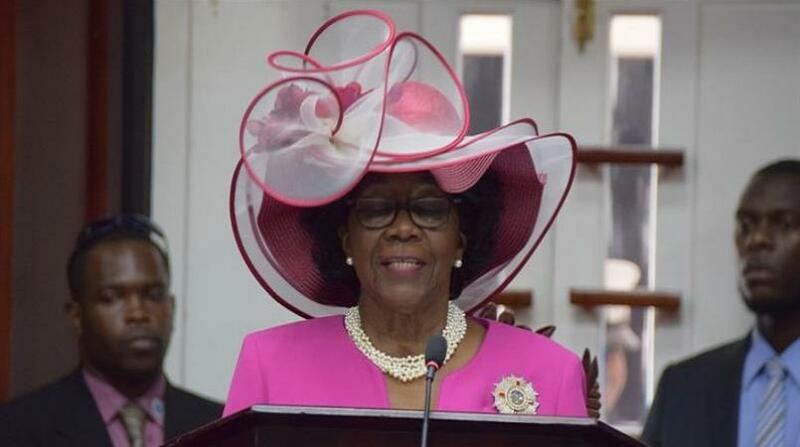 Madam President, Mr. Speaker, over the past year Saint Lucia has had to manoeuver uncertain, unpredictable and on occasion, hostile terrain in the foreign relations arena. Matters of blacklisting and developments in the hemisphere involving Venezuela have divided not only our region, but in some cases the world. In this environment, my Government has endeavored to secure Saint Lucia’s interests, while adopting stances firmly anchored in principle and the rule of law. In the case of Venezuela, we have reaffirmed that the Caribbean must remain a zone of peace, consistent with the provisions of the Treaty for the Prohibition of Nuclear Weapons in Latin America and the Caribbean (Treaty of Tlatelolco) and the Proclamation of Latin America and the Caribbean as a Zone of Peace, endorsed by all 33 Member States of the Community of Latin American and Caribbean States (CELAC). We are unequivocal in our view that there should be no third state intervention in the internal affairs of Venezuela and will continue to resist any action that could jeopardize the peace, safety or security of the Caribbean region. The matter of Blacklisting has complicated our relationship with the European Union. In June 2019, Saint Lucia will pass the baton of chairmanship of the CARIFORUM group of states to Saint Vincent and the Grenadines. It is within this grouping that we will continue to negotiate successor arrangements to the Cotonou Agreement which expires in 2020. At the same time, we must find the means to rid ourselves of the albatross of blacklisting. At the beginning of July 2019, Saint Lucia will assume the chairmanship of CARICOM. Notwithstanding the matters that divide us, we must continue to deepen the integration movement to the benefit of all Member States. We must take concerted action to combat climate change, we must find common creative ways to resist efforts to undermine our economic bases. Above all, we must identify the means of pursuing individual developmental interests without rending asunder the ties that bind us as a region. My Government will continue to be relentless in championing the causes of Small Island Developing States in the United Nations and other international fora, on matters of climate change, access to ODA, graduation, de-risking. We will, in keeping with our duty, seek avenues to build the resilience of our infrastructure and people, as we owe it to coming generations, to lay good and proper foundations for them. My Government extends deepest condolences to the governments and people of those countries who have suffered loss of life or damage to property over the past year due to climate events and to acts of religious or political intolerance. We stand in solidarity with you at this difficult time and continue to pray that rebuilding and the restoration of peace will not be protracted. My Government thanks our partner countries for their continued friendship and support, which we truly value. The many who have established diplomatic relations with us since our independence have seen our relationships grow over the years. It is therefore, with a lively confidence we say that time can only strengthen the links that bind us together. We the people of Saint Lucia have never had any negative feelings regarding the disposition of our people. And since called to this office and heard the comments of Ambassadors and other foreign dignitaries, I testify here, today, that our Saint Lucia is a Patent of Friendliness, and tourism, our Saviour, could not have wished for a better companion than our friendliness. In reflecting on what we have achieved, with mainly the sun above our heads and the sand under our feet, it can be said that we are spoilt and don’t even know that we are spoilt: for many with vast resources find it difficult to satisfy the needs of their people. I have come to the conclusion that for Saint Lucia to be truly great, all we need now do is to show a little kindness to those who have fallen by the wayside. We can do it. Let us all show a little kindness, just a little kindness. His Royal Highness the Prince of Wales, the next King of England, knows that we can, for in his speech to us during the celebration of the fortieth anniversary of our independence, He reminded us that we can build “the strongest, brightest future for this country” for “this is a strong society, I know, and a nation which places special emphasis on family and community”. So we are sailing well, for we have never dropped our anchor, even in the worst of times. In his First inaugural Address in 1933, during the Great Depression, President Franklin D. Roosevelt said to his people of the United States: “Let me assert my firm belief that the only thing we have to fear is fear itself”. That was the very message His Royal Highness was conveying to us by His reference to our “emphasis on family and community”. With every bit of my heart, I affirm the words of our Prince and the President, and all I am left to say to our people is, let us all beat our “swords into ploughshares” and put our shoulders firmly to the wheel, for the next generation needs us.